KISS – keep it simple stupid. Don’t over think it, just trust in Jesus and obey. Know and accept who you are in Christ Jesus. Study His Words, Know His ways and truths. 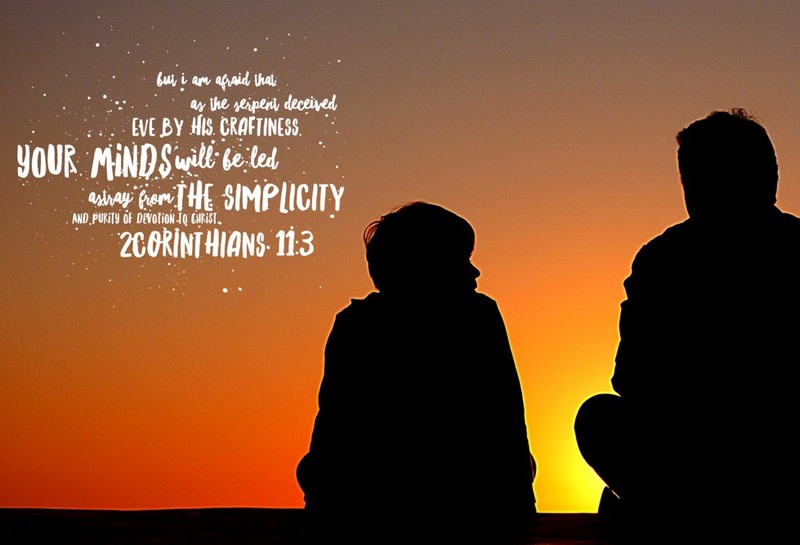 …the simplicity that is in Christ. Simplicity is the secret to seeing things clearly. This entry was posted on September 14, 2018 at 6:57 am and is filed under One Walk. You can follow any responses to this entry through the RSS 2.0 feed. You can leave a response, or trackback from your own site.